After last weeks section win on Partridge lakes i was eager on a return and today was my chance to get back , i woke up to find light drizzle after two days of heavy showers but the forecast for the rest of the day was going to be very nice with a light breeze and warmish for the time of year . These conditions brought the anglers out in force with the open match being full with 65 attending and they where also turning anglers away because they hadn’t booked on which was a surprise because it had been fishing hard on their at present and four of the top six weights on Saturdays match had come from covey 5 which wasn’t in the open match today . The Leigh tackle winter league was also taking place and in mid January it resembled a fisho qualifier with 145 people knocking about . When it got round to my turn for the draw i really fancied a return to covey 3 were i always seem to do well but i pulled out peg 89 on covey four , not my favourite lake and also a new area to contend with . As i arrived at my peg i noticed that i was probably on the worst one in the section but im not using that as an excuse for a bad days fishing . 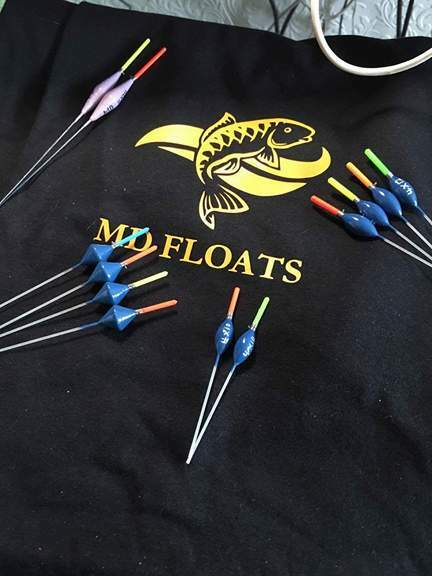 I felt that after last week that i was beginning to finally get my head around the venue and had worked on a plan to get the best from most pegs on the complex , this was to target the 4 ft line for most of the match because that is the area i had most success with and i also had a channel swim as a back up plan . 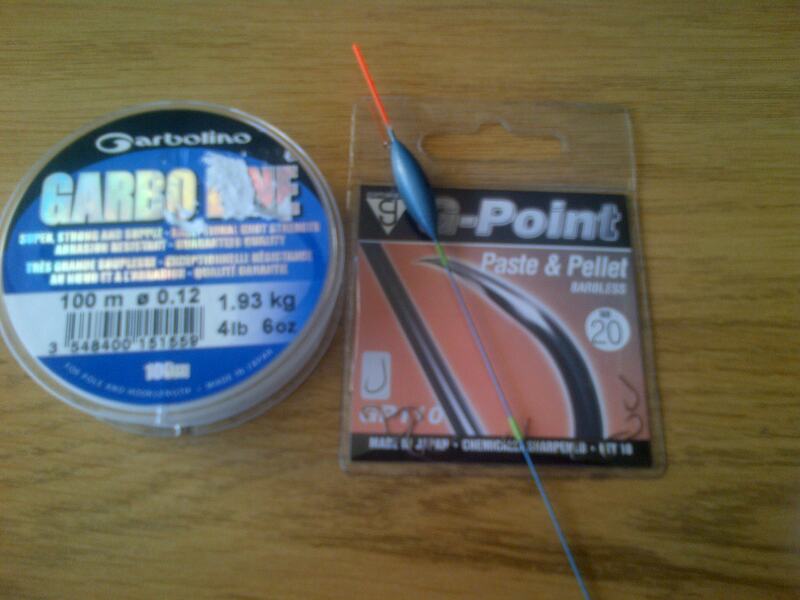 4 ft rig for pellets was 0.10 garbo line straight through to a size 20 gamma pellet hook , my shotting pattern was a strung bulk a cm apart and starting 6 inch from the hook . 4 ft rig for maggots was 0.1o garbo line straight through to a size 20 gamma black hook , my shotting pattern was a strung bulk an inch apart starting 6 inch from the hook . 6 ft channel rig was 0.12 garbo main line to a 0.10 6 inch hook length of 0.10 garbo with a size 20 gamma pellet hook attached , it had a strung bulk starting just above the short hook length . all rigs were used with size 10 orange matrix which i have found to be perfect for the f1s and carp on here , using a preston pulla bung . 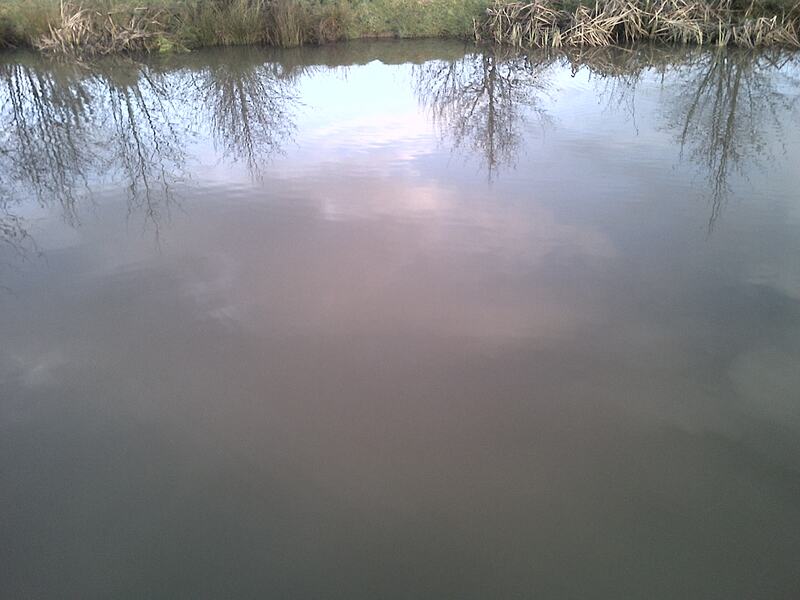 As the all in sounded i went across to the left hand part of my peg about 2 ft away from the far bank with a white 4 mm expander on the hook and a dozen micros in the cad pot , i was hopping to get an early carp like last time i was on this lake . After lifting-dropping for five minutes before a little dip saw me attached to a carp that bottomed out my orange matrix elastic out and just kept on going , not the start i was looking for worse was to follow when on my next put in saw me loose a big f1 at the net . Thirty minutes in and i finally managed to start putting a few f1s in the net , they seemed to be a lot bigger stamp on covey four than in the other coveys and all the bites where just tiny dips on the float but my malmam winter wires was working extremely well , by slowly pushing my rig up the slope i managed to get my expander registering on the float which showed all the finicky f1 bites . I had been extremely careful not to over feed so it was a surprise when my swim died on me but that seems to be the norm for on here , i wasn’t that entirely bothered though because i had what i felt was my best bait to use now and i made another line 2 ft to my right still at 4 ft depth though . I shipped out with a single maggot on the hook and six maggots in the kinder pot , but un-fortunately this only resulted in small rudd and i noticed other anglers being plagued by silvers using this bait so i made the bold decision to forget maggots which had won me my previous sections and concentrate on just pellets . I went back out with a pellet on the hook with a bit of crushed expander in the pot and this resulted in another run of big f1s , so they must have been their all the time but couldn’t get to the bait before the greedy rudd which doesn’t happen on the other coveys . Suddenly my swim died and i didn’t get any sort of indication i was just going to set up another swim when my float buried and i was attached to a carp and this time i managed to get it in with out too much bother , but on my next put in i lost an f1 at the net which un-settled my 4 ft line so i decided to try else were in my peg . My next two hours was a complete disaster , first i tried my channel swim at 11 meter to my right with out a bite in thirty minutes , then i tried my 4 foot rig along the near slope for thirty minutes with out a bite and finally i work my far bank lines again without success . This mid match quiet spell happens to me every time that i fish on here and i need to sort it out because today it definitely cost me a chance for my section . In the last hour i finally found some fish at six meters mid channel to my right , i had upped my feed to a full medium kinder pot of micros and crushed expander to try and make some thing happen which it fortunately did and i began a run of f1s with another carp mixed in but i knew that i was at least six fish behind so i began rushing to get them in quicker and this resulted in me pulling the hook out of a couple . When the all out sounded i knew that i hadn’t done enough to compete in my section this week with my 14 f1s and 2 carp not being enough against the 21 and 24 f1s caught either side of me , if i had found the fish in the channel quicker or found a couple in the quiet spell it could have been all so different and so for the first time in an age i decided not to weigh in but i think i have learned a lot again today and really need to start putting it all together in a match . 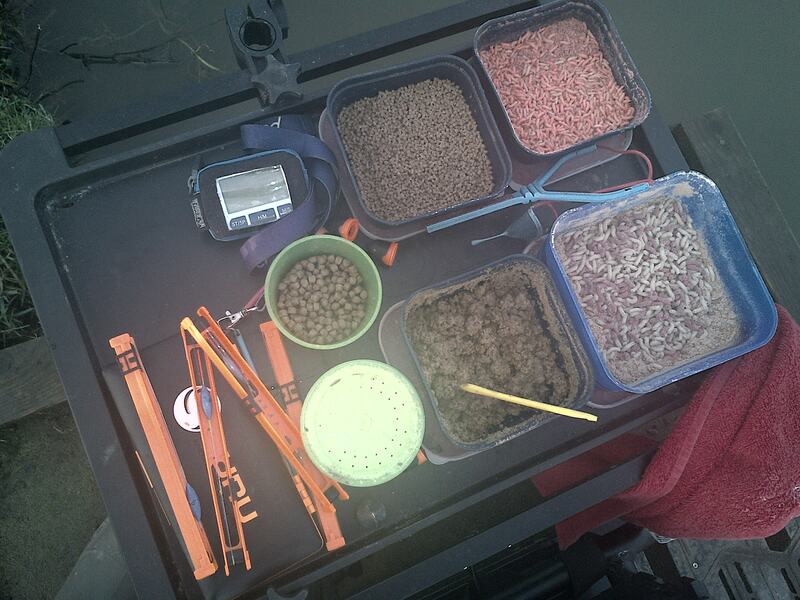 This entry was posted in covey four, PARTRIDGE LAKES COVEY, PARTRIDGE LAKES OPEN MATCH and tagged Carp, covey, f1 fishing, gamma black hook, gamma pellet hook, garbolino line, malmams winter wire, matrix 10 elastic, Partridge lakes. Bookmark the permalink. Hi Gary Thanks for the update. have you set a date yet for the club meeting ? Hi Gary Thanks for that. I am away from the 2nd for 3 weeks but Darren will attend just let us know how much money you need. ok no probs , text me darrens number because i havent got it .